The host of the Things to Talk programme on ZBVI 780 AM on Wednesday November 2, 2016, stated that something better has to be done for the agricultural industry. “Agriculture has been stagnant and has been dying since the NDP got back into office and we really have to do better for agriculture,” Mr Wheatley pointed out. In October, the NDP was again accused of not being serious as it relates to the Greenhouse Project at Paraquita Bay, this time by Opposition Leader, Hon Julian Fraser RA (R3). His remarks came as the Government moved to seek the approval for a $1.5 million loan to fund the startup and running of the Greenhouse Project that was initiated by the Virgin Islands Party (VIP) Administration, saying it was a joke all in an attempt to fool the people of the Virgin Islands that they were committed to completing the project soon. Hon Fraser was addressing the Government's Motion in the House of Assembly (HoA) on October 31, 2016. 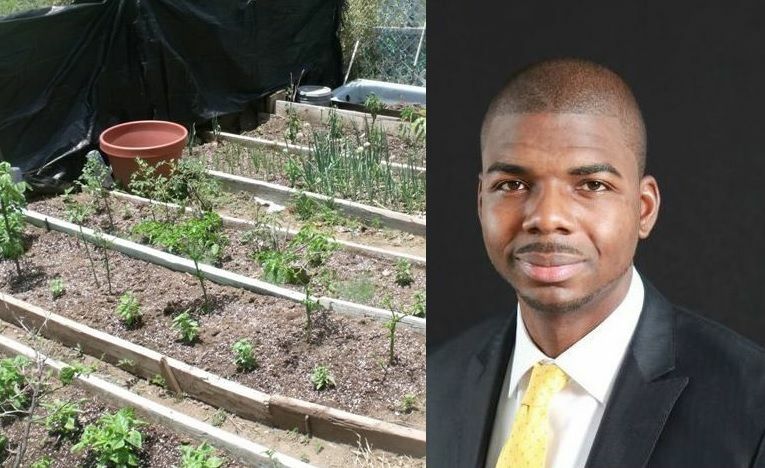 Meanwhile, Mr Wheatley said sadly, the approach of the Minister responsible for Agriculture, Dr The Hon Kedrick D. Pickering (R7), was greenhouses or nothing at all. In recent years, the NDP has again been blamed for the significant scaling down of activities in the annual Farmer’s Week held in February, which eventually got cancelled this year and is expected to be hopefully on the cards for 2017. Farmers in previous years have also boycotted or threatened to boycott Farmers Week as they have not been satisfied with Government’s treatment towards them. Agriculture and agriculturing,if true,is becoming stagnant because of stagnant and lazy farmers. 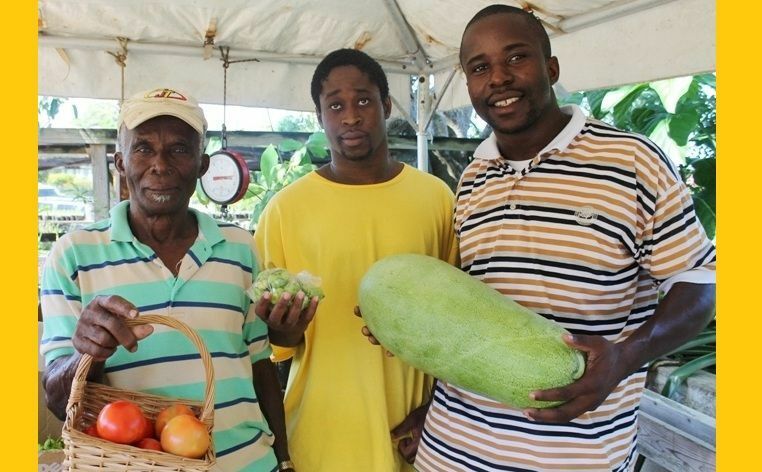 The BVI was a breadbasket of agricultural products when real early Mawnin Tolians hard working son of the soil delighted in being self sufficient independent and productive. Waiting on NDP to come till your soil and water your crops won't work. It's not as if the bulk of inhabitants are planting their lil patch of ground. These farmers have all the market and still claim that there is a problem. Put on your Farmers week and show off like u know hard work with pleasure and stop with the Gov assisted and dependency affliction. And Sowande is doing what for agriculture? The NDP killed it in order to save the sharks. The NDP make the dog sick because they allowed agriculture to die. So let me get this straight! It's Government's fault that most of the real farmers are already passed on or unable to til the soil any longer and the young people want to be whatever they see on tv/internet? Who's stopping anyone from farming? I see all these people in the market importing produce from Dominica and elsewhere to sell here. At first it was the people from those islands doing it, not our own people doing it. What does that tell you? They want the easy way out so instead of growing their own, they bring it in, mark it up and happy to count the cash. The issue of agriculture is one of pride and hard work, nothing to do with Government, we just want to make excuses for our laziness. Agriculture is under the Minister's Portfolio and it is very disturbing to see, quite some time that there is no Agriculture week. People use to get excited when there were Agriculture week coming up. I would not blame the Farmers at all. Yes, the Farmers can do what they have to do for Agriculture week. But at the same time, the Minister need to engage a dialogue with the Education Minister with utilizing the green houses by every school child in the territory. By doing so, agriculture will not die with the farmers. What kind of headline is this!!! Its been dead long before ndp. Stop talking piss. VIP/NDP, regardless what help is given never is enough to satisfy bvislanders. Agriculture been dying all whn VIP was in power so what is the point. Agricultural production has been on the decline for decades. Up to the mid 1960s, subsistence agriculture was a major cog in the economic wheel. It was the prime means through which many local residents eeked out a living. With its small population, agricultural production was sufficient to meet home consumption/domestic needs, as well as supply the needs of the USVI. However, starting in the mid to late 60s, the BVI economy started the transition from subsistence agriculture to services. Tourism and financial are now the core elements in the economic foundation. Tourism and financial services came with new jobs and job skills needs. The steady shift away from agriculture due to the new economy, loss of arable land, stigma attached to agriculture, coupled with the retiring of Silent and Boomer generations farmers, contributed to the low production and little interest in agriculture. Moreover, the growing population due to the expansion of service sector economy increased the demand for agricultural products. However, the use of arable land that was once dedicated to agriculture is now being used for housing and other needs, together with other factors noted above, reduce the capacity to be self sufficient in food production. Consequently, food had to be imported to meet the growing demand. Nonetheless, the BVI should to the maximum extent practical produce food to reduce its food import bill and to enhance its food security posture. Producing as much food as possible locally comes with other benefits. For example, the production and supply of local food keeps money local, creating a multiplier effect in the economy. Further, the food will be fresher and healthier. Further, the tourism and agricultural industries can be linked to create employment, boost earning opportunities, expand the agricultural industry.....etc. The BVI should be able to produce vegetables, eggs, fish, poultry, some fruits, pork.......etc for at least local consumption, Produce and buy local! Ditto! As always a differerent perspective. Ok. Great explanation for the decline of agriculture but what are the solutions, if any, for reviving agriculture not obviously to a self sufficient level but to reduce the food bill, to serve as insurance for import problems( transportation problems, problems in supply countries) and to improve food security.